Is Resolution Close in Northern Iraq’s Pipeline War? Baghdad is worried about the political and economic consequences that could follow energy sales conducted independently of the central government, which insists it still has the right to control all Iraqi oil sales and the distribution of energy revenues according to the Iraqi constitution. The administration of Kurdish northern Iraq, the Kurdistan Regional Government (KRG), interprets the constitution differently, claiming it has the right to sell oil without the consent of the central government in Baghdad. According to Iraqi deputy prime minister Hussein al-Shahristani, “The most prominent challenge is that we have not reached a national agreement to extract and market oil from all of Iraq’s territory… We have a grey area – we do not know how much oil the [Kurdistan] region is extracting, what price they are selling at and where the revenue goes” (Fars News Agency [Tehran], April 14). With the KRG now pumping oil directly to Turkey through a converted gas pipeline and the central government withholding budget transfers to the north, there is still some optimism that Baghdad and Erbil will come to a mutually profitable agreement to avoid economic and political collapse. Iraqi prime minister Nuri al-Maliki is determined to assert Baghdad’s control over national oil revenues and is resolutely opposed to Kurdish attempts to make their own deals with foreign consumers like Turkey (al-Sharq al-Awsat, April 8). To enforce the central government’s role, al-Maliki’s government suspended Kurdistan’s annual budget allocation – a loss of billions of dollars to a government that may be pumping oil, but is not yet making any money from it due to Baghdad’s threats to launch legal action against anyone purchasing oil it considers to have been “smuggled” from Iraq. After signing six energy contracts with Turkey in December, KRG authorities opened the flow of crude oil through a new pipeline to the Turkish port of Ceyhan in late December 2013 (Xinhua, January 2). Shipping 300,000 bpd through the pipeline to start, the oil is being stored for now at the Ceyhan terminal rather than being sold and shipped abroad as Turkey refuses to allow its sale without Baghdad’s approval. The new pipeline (actually a converted natural gas pipeline) connects the Taq Taq oilfield operated by Anglo-Turkish Genel Energy to the Kirkuk-Ceyhan pipeline at the Fishkabur pumping station near the Kurdish border, thus bypassing the regions affected by sabotage on the Baghdad-controlled Kirkuk-Ceyhan line and enabling the KRG to stop the piecemeal export of oil by tanker truck (Reuters, April 17). The KRG announced plans in October 2013 to build a second pipeline to Turkey within two years that will ship a million bpd to Turkey (Bloomberg, November 8). Turkey has proposed that revenues from the sale of oil shipped through this proposed pipeline and the existing pipeline that opened in January be handled by a Turkish state bank that will distribute funds according to the formula in the Iraqi constitution that calls for an 83 percent share to Iraq’s central government and a 17 percent share to the KRG (Xinhua, January 2; Rudaw, February 12, 2013). Turkey has emphasized its wish to conduct all such dealings with transparency, but Baghdad still favors full control over oil exports with revenues being deposited to the Development Fund for Iraq account in New York, as is the current practice. Ankara’s role in allowing shipments of Kurdistan-sourced oil to Turkish facilities without the consent of the Baghdad government indicates Turkey’s eagerness to diversify its energy sources (particularly its strategically dangerous overreliance on Russian natural gas) and its intention of pursuing a deepening economic relationship with Iraqi Kurdistan that has both economic and security payoffs. I consider depriving the Kurdistan Region of means of livelihood to be a declaration of war. It could be a crime that is worse and more dangerous than shelling Halabjah with chemical weapons. We will wait for the outcome of [U.S.] mediation, but I say for sure that the region will not remain silent on this measure if it continues and will not stand idly by. We have a program and a plan that we will implement (al-Hayat, April 5). 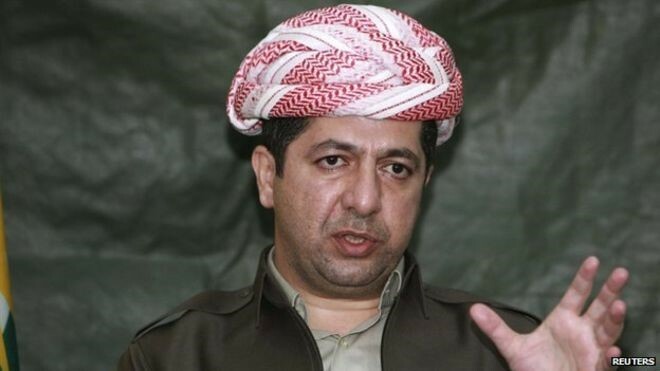 In a recent meeting with the head of the Democratic Socialist Group in the EU parliament, President Barzani maintained that the main problem in Iraq was not the oil issue or the failure to pass a national budget, but was rather Baghdad’s insistence on making the Kurds “followers” rather than “partners” (National Iraqi News Agency, April 7). Kurdistan’s economic security adviser, Biwa Khansi, warned that further delays in oil shipments to Turkey would “negatively affect economic relations between Iraq and Turkey” as well as threatening development projects and the ability to form a workable state budget (National Iraqi News Agency [Baghdad], April 12). Oil flow through the main Kirkuk-Ceyhan pipeline ceased on March 2, when suspected Islamist militants blew up part of the line in the Ayn al-Jahash desert of northwestern Iraq, a region where anti-government Sunni militants are active. Since then, saboteurs have struck the line three more times and have mounted deadly attacks on repair crews sent to fix the damage (Hurriyet [Istanbul], April 1). Military escorts have failed to prevent such attacks and there is little reason to believe Iraqi claims that the pipeline will be back in action within days (Reuters, April 10). Controlled by the Iraqi central government, the Kirkuk to Ceyhan pipeline carries about 20% of Iraq’s total oil exports. Nineveh governor Ethel al-Nujaifi admitted that security forces in his governorate were “powerless” to provide the protection necessary to enable repair crews to bring the pipeline to Turkey back on-line (Zawya [Dubai], April 13). Baghdad is looking to export over one million bpd through the Kirkuk-Ceyhan pipeline by the end of the year and is also looking to build a new 200 kilometer pipeline to Turkey to help expand exports (al-Arabiya, April 9). This article first appeared in the April 18, 2014 issue of the Jamestown Foundation’s Terrorism Monitor. 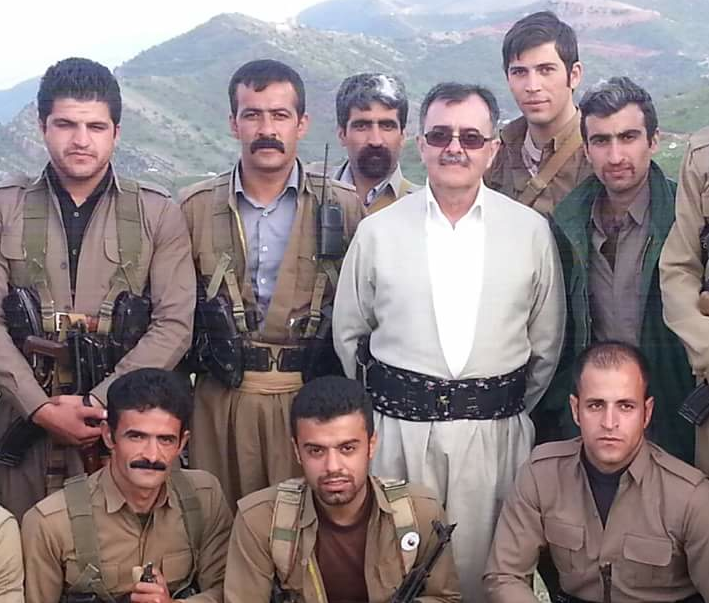 The commander of Iran’s Islamic Revolution Guards Corp maintains that it was the Guards’ ability to confront Kurdish guerrillas on their own terms that led to an apparent defeat of the Partiya Jiyana Azad a Kurdistane (Party of Free Life of Iranian Kurdistan – PJAK) after a three-month offensive. Commander of the Islamic Revolution Guards Corps (IRGC) Major General Mohammad Ali Jaffari suggested that PJAK had mistakenly believed that Iranian forces would use “classic warfare” tactics incapable of defeating guerrillas in the field: “The IRGC’s capability in both classic and asymmetric and guerrilla warfare surprised the PJAK terrorist group so much that they surrendered… Since the IRGC enjoys asymmetric and guerrilla warfare capability, in addition to its capability in classic wars, the PJAK group was encountered in its own method… and they realized that we have the ability to deploy troops and defeat everyone everywhere” (Fars News Agency, October 8; ISNA, October 8). 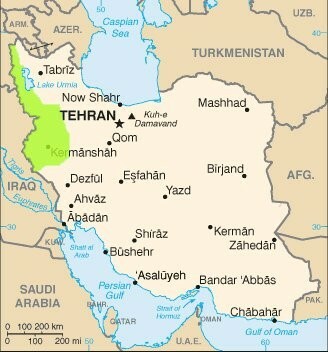 Following a series of border incursions by teams of PJAK fighters, Iran deployed a force of 5,000 IRGC troops and Border Guards to largely ethnic-Kurdish northwestern Iran, where they destroyed a PJAK base in the Jasosan Heights near Sar Dasht city in West Azerbaijan Province (Fars News Agency, September 26). The offensive halted for a month following a Ramadan ceasefire negotiated by northern Iraq’s Kurdistan Regional Government (KRG), but operations resumed when it became clear PJAK had not used the break to withdraw to their bases in northern Iraq. The IRGC also claimed that PJAK had used the Ramadan ceasefire to dig tunnels in the Jasosan Heights along the border and to receive weapons and equipment supplied by the U.S. Consulate in Arbil (Fars News Agency, October 8). After a number of battlefield setbacks that included the death of PJAK deputy commander Majid Kavian (a.k.a. Samakou Sarhaldan), PJAK unsuccessfully tried to have the ceasefire renewed, an impossibility so long as PJAK occupied Iranian territory (Sepah News, September 7). KRG president Masoud Barzani, wary of the possible implications of sending Kurds to secure the borders from other Kurds, instead urged both PJAK and their senior partner, the Parti Karkerani Kurdistan (Kurdistan Workers Party – PKK) to come to settlements with their respective Iranian and Turkish opponents (AFP, September 7). By September 21, the IRGC was claiming to have killed over 180 PJAK fighters while driving the group out of northwestern Iran (Payvand Iran News, September 21). PJAK claimed to have killed 600 Iranian soldiers in its resistance to the Iranian offensive, a figure that has little basis in reality (AFP, September 15). The real figure is more likely in the dozens. Iranian Intelligence Minister Heidar Moslehi said that PJAK had agreed to stay one kilometer away from the Iranian border but promised that Iranian forces would continue taking action against PJAK until the group was destroyed (Mehr News Agency, October 9). Brigadier General Ali Shademani, Deputy Head of the Operations Department of the Iranian Armed Forces, told Iran’s official press that PJAK was a creation of the United States, the United Kingdom and Israel and would be replaced by these nations once it became clear PJAK would not succeed in its objectives (Press TV, September 29). 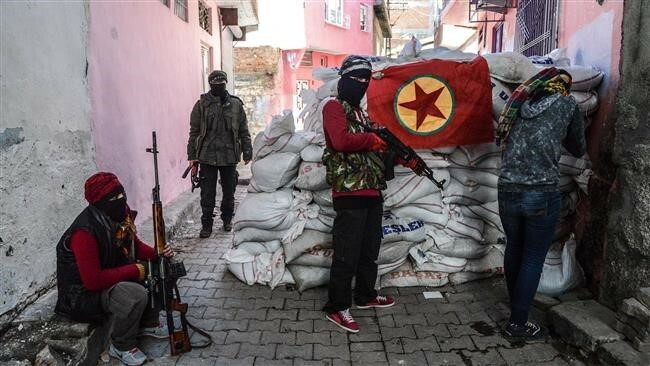 PJAK in turn has accused the United States of providing intelligence about the Kurdish insurgents to Turkey which is then shared with the Iranians, though Ankara has denied passing on U.S. intelligence reports to Tehran (Rudaw.net, September 10). 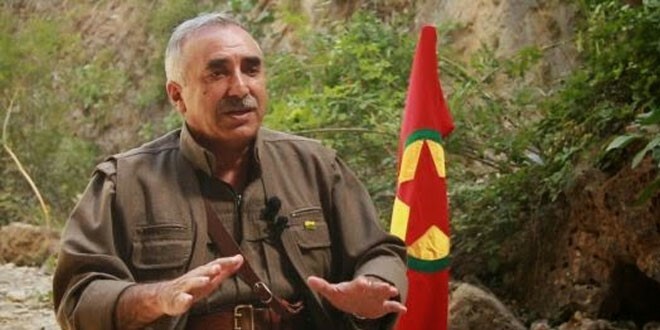 Some Turkish media sources reported that the effective leader of the PKK, Murat Karayilan, was captured during Iranian operations in mid-August. The Iranians allegedly located the PKK commander by using intelligence provided by Turkey’s Milli Istihbarat Teskilati (National Intelligence Organization – MIT). It is widely suspected in Turkey that Iran intervened to save Murat Karayilan from being killed by Turkish bombing by arresting and later releasing the PKK leader (Hurriyet, October 17). In this scenario it has been speculated that the PJAK withdrawal from its forward bases in Iran was the price of Karayilan’s freedom (Yeni Safak, October 12; Today’s Zaman, October 12; Hurriyet, October 11). Karayilan affirmed that he was not under detention in Iran when he appeared on the PKK-affiliated Roj TV in early October, a declaration Iranian authorities supported by saying they had no information regarding the alleged arrest of Karayilan (Rudaw.net, October 18). Turkish authorities expressed satisfaction with Iran’s denials, saying Turks should “turn a blind eye” to the allegations while refuting a rumor that Karayilan had been captured by Syrian forces (Hurriyet October 14). More than any other people in the world, I would have expected Israel to understand and identify with us. After all, you, who have experienced the Holocaust, massacres, expulsions and persecution, now see our people, the Kurdish people, experiencing that same fate. Everyone in this area – Syrians, Turks and Iranians – wants and is trying to destroy us, and you, of all people, are the ones providing them with the weapons to destroy us. Karayilan was interviewed at a secret hideout in the Qandil Mountains of northern Iraq, close to the border with Iran. With PKK leader Abdullah Ocalan confined to a Turkish prison, Karayilan has emerged as the effective leader of the Kurdish cross-border insurgency. Ocalan was seized in Nairobi in 1999, allegedly by a team of Israeli Mossad agents who turned the PKK leader over to Turkish security services (Daily Nation [Nairobi], February 27). Since then, however, there has been a general belief in Turkey that Israel has provided arms and training to PKK and Peshmerga fighters in northern Iraq. An Israeli commando team involved in training Kurdish Peshmerga fighters in northern Iraq was forced to withdraw in 2005 after their presence was made public, but recent reports indicate Israeli military trainers have returned to the region (Yedioth Ahronoth, December 1, 2005; Ynet, December 1, 2005; Arutz Sheva, February 5; Today’s Zaman, June 9). Once we were friends. In the 1960s and 1970s, Israel went out of its way to assist the Kurds. We admired you. But since the 1980s, from the moment you tightened your relationship, and your military cooperation, with Turkey, you have been considered here to be among those who systematically assist in our oppression and eradication… It is clear and natural to us that there should be relations between Israel and Turkey. Why not? But why should these relations come at our expense, at the expense of our lives? I wonder if Israelis are at all aware of the use that is made of the weapons and training they provide to Turkey. Israel has not made an official statement on Karayilan’s interview, but an Israeli diplomat requesting anonymity told a Turkish daily, “The Israeli position is known and clear. We see the PKK as a terrorist organization and we support the Turkish fight against terror” (Today’s Zaman, September 22). More than any other Turkish head of state, this prime minister, [Recep Tayyip] Erdogan, openly shows how he is tightening relations with Hezbollah and Syria. He hugs [Iranian President Mahmoud] Ahmadinejad and praises Hamas. Are you sure this is your friend? An important ministerial summit between Turkey and Syria is scheduled for October 2-3, with terrorism expected to be one of the principal topics of discussion. Turkey is intent on improving economic relations with Syria and has already received Syrian support on the PKK issue (Hurriyet, September 28). However, the May 31 incident brought an abrupt end to Turkish efforts to mediate between Syria and Israel. Turkish interior minister Besir Atalay is also expected to meet soon with his counterparts in Syria and Iran to discuss the PKK threat. Only a few days before Karayilan’s interview was broadcast, three PKK members were reported arrested in the port city of Jounieh by Lebanon’s Military Intelligence on charges of spying for Israel (Journal of the Turkish Weekly, September 23). Lebanon has arrested over 70 people on suspicion of spying for Israel since April 2009 (AFP, September 24). A spokesman for Iraq’s Jaysh al-Mustafa (Mustafa Army) used an internet question and answer session to admit setbacks but vowed to prevent the Kurdish takeover of the northern Iraqi province of Ninawa (Nineveh), the main base of the Sunni militant group (Media Commission of the Al-Mustafa Army in Iraq, May 15). According to the spokesman, Abu Abd al-Rahman al-Iraqi, the group was formed in Ninawa Governate two months after the March 2003 U.S. invasion of Iraq. At first they operated under the name “al-Fatihin Army” during their earliest operations in Mosul. In time, the group expanded to Salah al-Din Governate and even into the outskirts of Baghdad. This continued until April 2004, when “occupation forces broke into our locations and arrested our most prominent leaders.” After this serious setback, the group slowly recovered and today consists of 12 “brigades,” though only four of these are operational due to “poor resources and lack of funding.” Shaykh Abu-Abdallah al-Ansari is the Amir of the Al-Mustafa Army in Iraq. Abu Abd al-Rahman also attributed the lack of internet videos depicting al-Mustafa Army operations to “weak financial capabilities” and “the geographical nature of the city Mosul,” though the latter point was not explained. The Mustafa Army relies on “the charitable people in Ninawa Governorate” for their funding, though these contributions have declined dramatically after threats were made to those funding the group. This has resulted in a decrease in the number of operations. Al-Mustafa Army supports the use of martyrdom operations (suicide bombings), but has not conducted any due to a “lack of assets.” Despite this, Abu Abd al-Rahman insists the jihad in Iraq is mandatory for every man, woman and child. Admission of new fighters is made on the recommendation of a trusted person or a mosque cleric. Recruits must meet certain requirements regarding religious observance, good manners, etc. Abu Abd al-Rahman denies that foreign fighters are in the ranks of al-Mustafa Army. “In fact, we have not received any admission request from expatriate brothers, but we do not deny their fraternity and we are grateful to them.” The group claims to have Kurds as well as Arabs as fighters and leaders. • Army of Men of the Naqshabandi Order (a Sufi militant group): Al-Mustafa Army has good relations with this group and is ready to cooperate with them in all jihad activities. 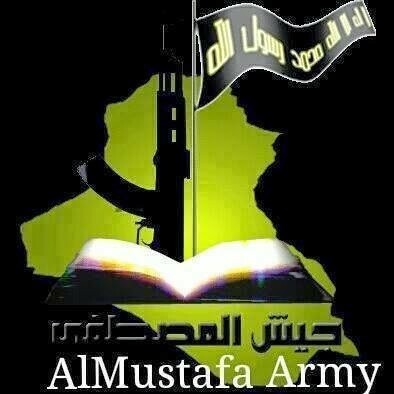 • The Shi’a: Al-Mustafa Army has “no relations” with the Shi’a public and the group does not fight them. However, the group considers the “Persian Safavids” (a reference to Shi’a militias) to be their enemies. • Ba’athists: Abu Abd al-Rahman denies the Mustafa Army is composed of Ba’athists, saying these are rumors designed to undermine the group, though it “does not belittle” the Ba’athists. • The Islamic State of Iraq (ISI – al-Qaeda affiliated): The group has good relations with ISI and has worked with several of its field commanders in the past. • The Sahwa (Awakening) Councils: These individuals have made mistakes by joining with the occupation forces, but the “door of repentance” remains open for them. This article was first published in the May 26, 2009 issue of the Jamestown Foundation’s Terrorism Monitor. 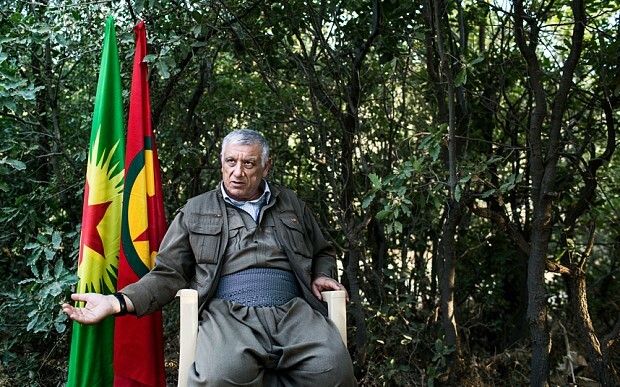 Cemil Bayik, a leading member of the Kurdistan Workers’ Party (Partiya Karkeren Kurdistan – PKK), gave a lengthy interview to a Kurdish news agency on the current state of the PKK’s insurgency against the Turkish government (Firat News Agency, July 29, 30; Yeni Ozgur Politika [Neu-Isenburg], August 5). Together with alleged rival Murat Karayilan and military commander Fehman Hussein (a.k.a. 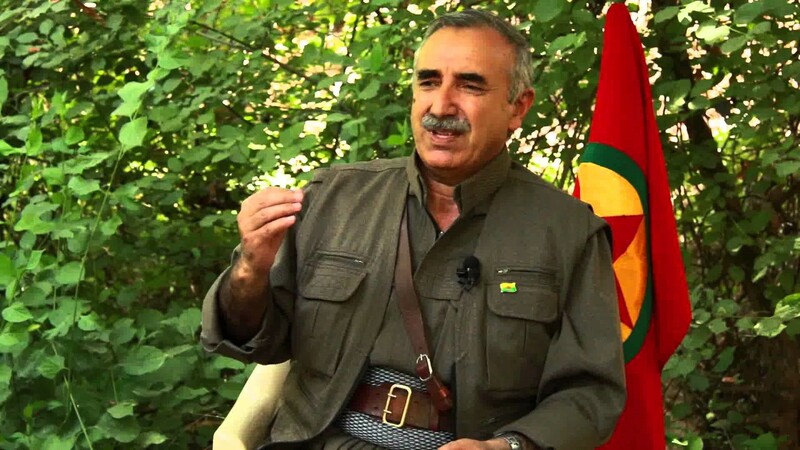 Bahoz Erdal), Bayik is one of the PKK’s core leaders in the absence of the imprisoned Abdullah Ocalan. Under increasing pressure from the Turkish military in northern Iraq, Bayik was reported to have escaped across the border to Iran in May, where his small group was attacked by Iranian troops (Today’s Zaman, May 22; see also Terrorism Focus, May 20). 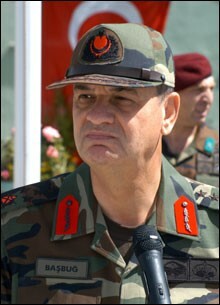 Bayik’s military skills and leadership were criticized by Abdullah Ocalan during his 1999 trial, with Ocalan suggesting Bayik preferred to remain behind the frontlines. Little has been heard from Bayik since his flight to Iran, though it appears he may have now returned to northern Iraq.